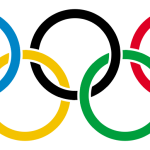 Supporting the United States Olympic Committee (USOC) in advancing United States Olympic ideals and competitions. Thanks to the athletes who participated in one of the 650 Olympic Day 2012 events! USOA VP Carol Brown (rowing, 1976, 80, 1984) visited the Prospect Heights Park District and the British School of Chicago in celebration of Olympic Day, while Kate Nelson Nack (gymnastics, 1996) spoke to thousands to open the YMCA Gymnastics National Championships and Summer Fest in Milwaukee. Thanks also to: Michael Bennett, Adolph Kiefer, Twila Majkowski, Michael McCahey, Andy Rein and others at Olympic Day events. About 500 people including 2012 U.S. Olympian Bob Willie, 17 other Olympians, two Paralympians, coaches, world and national team members participated in the Walk to London 2012 at World Sport Chicago 3rd Annual Family Sports Festival on Saturday, June 16. Alderman James Balcer, and White Sox/Bulls co-owner joined Olympians, Paralympians and others at Armour Square Park just north of U.S. Cellular Field. The event helped send US Olympians Assocation President Willie Banks beyond the more than 5,000 miles needed to make it to London for the upcoming Olympic Games and was one of more than 20 walks held across the nation. Thanks to WSC for its outstanding support and to our athletes including: Banks, Tony Brooks, Carol Brown, Steve Gregg, Coach Frank Burns, Allison Jones, Susan Katz, Diane Bolin Kelley, Twila Majkowski, Stephanie Miller, Gary Morgan, Sheila O'Neil, Tom Pukstys, Bill Scherr, Danielle Slaton, Diane Simpson, Jeff Smoke, Jeffrey Jr., Nancy Jr. and Nancy Sr. Swider-Peltz. Doc Nicholson joined later, along with the Chicago Fire's Kwame Watson-Siriobe. Female Athlete of the Century Jackie Joyner-Kersee serves as keynote speaker with Midwest Olympians represeting BP and the U.S. Olympic Committee at the American Cancer Society Walk & Roll April 29 at Soldier Field. Ron Urick (canoe/kayak, 1988), Nancy Swider-Peltz, Jr. (speedskating, 2010) and Diane Simpson-Bundy (gymnastics, 1988) represent the chapter as they walk, roll and ride. President's Update -- Happy New Year. 2012 has arrived! The winter sport season is here and the Summer Olympic and Paralympic Games in London are only about a half a year away. Our athletes are waxing skis, shapening their skates or polishing their finest gymnastics skills for competition. Meanwhile, our active-but-retired alumni are staying involved with the Olympic and Paralympic movements through the World Sport Chicago Athlete Ambassador Program school visits, the U.S. Athletes honored at the 2011 Olympic and Paralympic Assembly dinner in Colorado Springs included: Olympic champions Adolph Kiefer (swimming, 1936) and Evan Lysacek (2006, 2010) of Naperville, Ill., and Paralympic champion and Bronze Medalist Andrew Yohe (sled hockey, 2006, 2010). The trio gave unprecedented excellent speeches! Congratulations! Olympic Day Thank You 2011! Thanks to the many Midwest Olympians and Paralympians who supported World Sport Chicago as it hosted their scholarship athletes, along with top local volleyball players at North Avenue Beach on Olympic Day, June 23. Another shout out to World Sport Chicago, which hosted the Midwest Chapter at a dinner held at The Chicago Firehouse Restaurant the same evening. Special thanks to World Sport Chicago President Bill Scherr (wrestling, 1988), Executive Director Scott Myers and Clara Petrisor for all the organization. World Sport Chicago hosted the inagural Valor Games-Midwest on Aug. 23-26 at Soldier Field. The event featured wounded, ill or injured veterans and active-duty service members from across the Midwest. It was the first regional event of its kind in the country and is was organized in partnership with the Chicago Park District, the Save Foundation, ISFA and U.S. Membership is an important part of continuing your role as an Olympian or Paralympian. Annual Dues of $30 can be made payable to: "Midwest Chapter of U.S. Olympians and Paralympians," Diane Simpson-Bundy, President, 1849 Winnetka Road, Northfield, IL 60093, or John Vande Velde, Treasurer, 1121 Banbury Lane, New Lenox, IL 60451. Contact us to learn more about the benefits of membership.